Welcome Back May Sponsors! Thank you so much for your continued support. Earlier this week we had a much needed warm up, and decided a road trip up to our land was in order. We haven't traveled north since the winter solstice, and it felt so good to feel the earth of our homestead under our feet! We also started our first big project of the season, fence building. 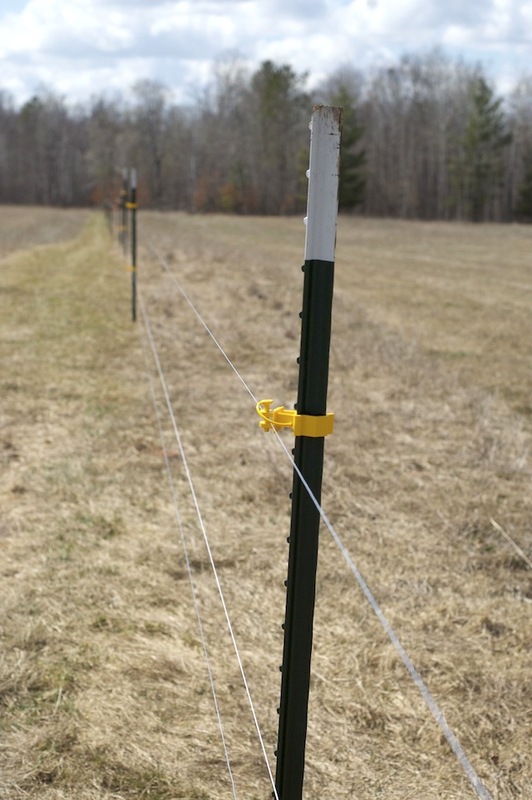 This trip, Mike was able to pick up enough fencing to border one side of our 10 acres or about 700 feet. First we strung a guide rope from one corner to the other. Then Cole, Luke and I laid out all of the poles, one for every 15 steps. Mike and Jake followed behind us pounding them in with a post pounder. Finally, we strung up the wire. Looking at it, I'm certain we'll need more rows of wire or even different wire, when it comes time for sheep, but it was such fun to work outside together as a family again!